Yesterday, the IUCN released their latest ‘Red List’ figures for priority conservation species globally. It is, sadly, no great shock to see numbers continuing to increase, yet – for me, anyway – it still manages to surprise me when brand new species previously thought to be doing well are added to the growing numbers. The IUCN are warning that more than 90% of lemurs now face extinction, making them one of the most threatened groups on earth. In common with many of the other species listed, lemurs are at threat due to habitat loss as a result of deforestation, logging and rising poverty levels causing the vegetation they rely on to be destroyed. Every time I read a report like this, I can’t help but think of the juxtaposition between seemingly every species under the sun, and us. While species globally are declining, there is one single species whose numbers continue to rise and rise: humans. The global population is now estimated to be over 7 billion. When I was born, it was just over 4. Since I have been alive, the population of our planet has almost doubled, yet the planet remains the same size. So, first to go seems to be natural habitats. Forests, fields, peatlands… you name it, we’ve colonised it. As politicians across the world continue to argue, deny and avoid climate change realities, we seem further away than ever from finding a solution. In the meantime, the consensus seems to be that the only habitat worth saving is our own. 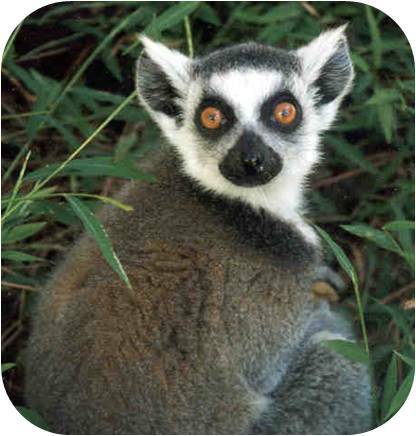 In the meantime, let’s enjoy this here lemur. While we still can.